Here is my latest screenshot! How did you get the transparent full title bars? Like in "System" and "This PC". It looks like it includes the "search bar" and "Forward/Back" buttons area? I like it. Only my title bars are glass...I'd like to include the portion just below the title bar as well. Got it working....thanks a million dhjohns. I've finially managed to achieve a reasonably polished, usable combo of Aero Glass, custom theme, theme atlas, and colors with Win 10 build 14393. Aero Glass for Win8.1+ version 1.5.1.724 x64 brings translucency to title bars and borders. Sagorpirbd's Aero7 theme restores a more usable skeuomorphic feel to buttons and controls. Theme and ribbon-enabled window title coloration facilitated by Big Muscle's UxThemeSignatureBypass DLLs. Big Muscle's latest Aero Glass GUI application to facilitate setting accent color, transparency, etc. My own Theme Atlas polishes the title bar and borders (Aero7's is not bad but looks a bit dated). Classic Shell provides a decent hierarchical start menu and facilitates Taskbar et. al. translucency, and reduces vertical spacing in File Explorer Navigation pane. 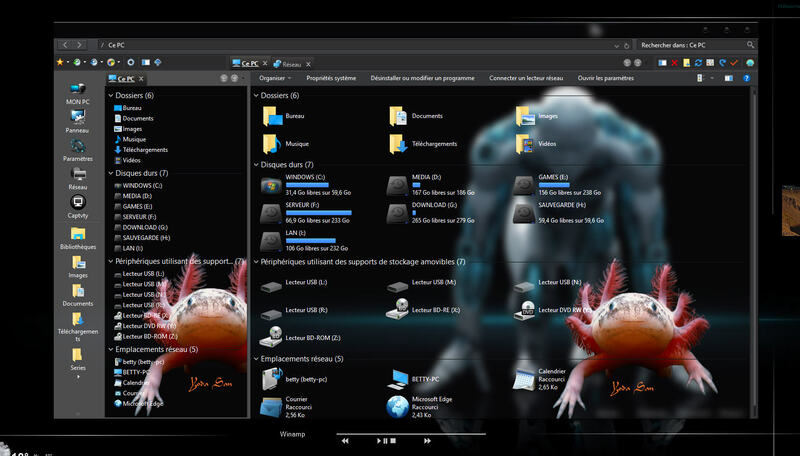 T800 Productions' Folder Options X improves usability and reduces vertical spacing in File Explorer files pane. 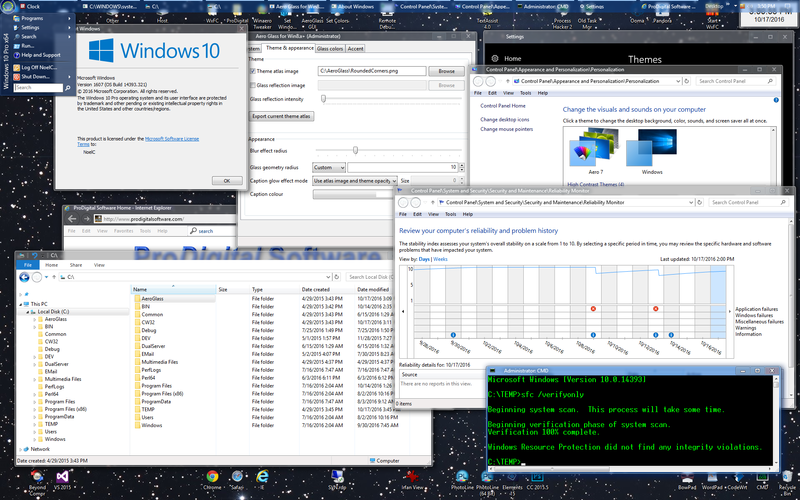 Various other tweakers such as Vista Shortcut Manager, Winaero Tweaker, etc. to fine tune of various small things. Here you go! Clean install. Poison theme by Mr GRiM Running build 14393.321 with latest service pack update in Hyper-V.
Why do you still have the watermark Dhjohns? It is in Hyper-V! Not on my hard drive. I see, I've never installed it on a VM so I didn't know it did that. Pretty much similar to previous one, but dark. - Aeroglass 1.4.6 in c:\Aero (\Aeroglass path never worked to me xD) + injected Moderframe.dll via Appinit. 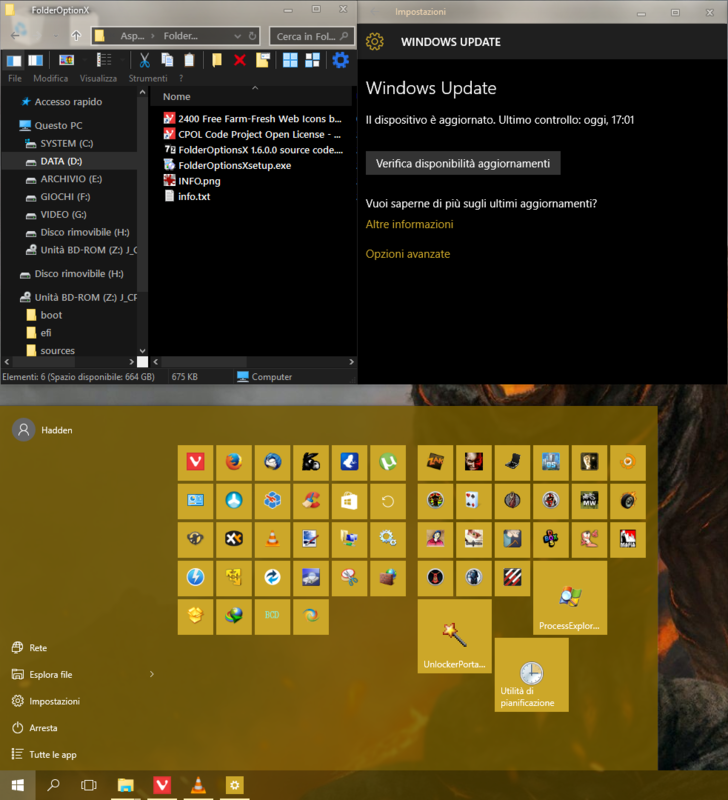 - Theme set: Windows Black Edition Mix 1 (Mr. Grim) + Clsharp 4.2 (atlas)+ BecClouds (reflection). Glad to see some fun back. It's nice to be able to personalize.